HomeArticlesAre Double Closings Legal in all States? 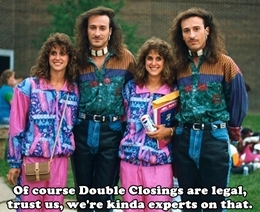 Are Double Closings Legal in all States? I was asked a great question from one of our fast track profit system students. And I think the answer will help clear things up for you about double closings. I’m so glad that you asked this question, Dave, because when I first started investing, I went to three different title companies and I got three different answers on how to be an investor and do business in Arizona. Sometimes I was told, “You can’t do that.” Sometimes I was told, “You can do it, but you’ve got to do it a certain way.” Sometimes I even hire a title representative, and in some states it’s an attorney. In Arizona, it happens to be a title company that you hire to close out a transaction. So no matter who your closing agent is, you really need to prescreen so you can find an investor-friendly closing agent that is used to working with the investors. I’m actually in Arizona so I know this for a fact – because I’ve closed hundreds and hundreds of these transactions –I promise you this… it is absolutely legal to double close a property as long as you do full disclosure. 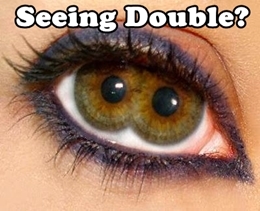 I’ll say it again – from working with students all across the country and in Canada, I know that it’s perfectly legal to do double and simultaneous closing as long as you have full disclosure. There are many, many title agents or closing agents who are just unfamiliar with what wholesaling is and what a double close is. Maybe they’re not comfortable with it, maybe they’ve never done it, maybe they just don’t want to do it. But I’m telling you, you need to put your head down and keep fighting hard to find the right closing agent for you. I teach investors how important it is to put together the right power team members. I would highly urge you to get investor referrals and try to find somebody, go on an interview, ask the right questions – because eventually, you will find the closing agent that is going to help you wholesale and double close no matter where you’re at in U.S. or Canada.